With an unprecedented number of US natural disasters in 2018, servicers remain in the mode of assisting borrowers that have been impacted. In addition to handling ongoing cases, every new contact necessitates that servicers immediately begin to triage borrower circumstances. 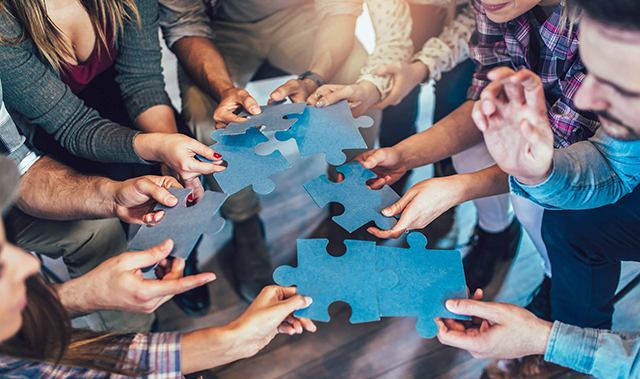 With each government entity stipulating their own unique requirements, servicers face a conundrum as they endeavor to analyze and execute on different modification options across disparate timelines and qualifying criteria. Administering investor programs tied to disaster relief has proven to be a concern for servicers. There has been extensive guidance issued by investors, especially over the past year. Clarifire provided a corresponding blog series as these disasters were being assessed in an effort to inform servicers on evolving guidelines for Fannie Mae, Freddie Mac, Federal Housing Administration (FHA), Department of Veterans Affairs (VA) and Small Business Administration (SBA) loans. As the industry continues to address natural disasters from last year and prepares for any disasters that may occur in 2019, it is important to have an understanding of agency nuances. A brief recap of the respective challenges follows. Of all the government-backed mortgage lending programs, Fannie Mae’s disaster relief regime poses one of the greatest obstacles for servicers when it comes to implementation and adherence. Since 2017, Fannie Mae has updated its disaster relief frequently asked questions (FAQs) bulletin, extended foreclosure moratoriums, increased consumer education of disaster relief options, and issued clarifying guidance on a host of relief requirements, ranging from the workout waterfall to borrower eligibility, escrow analysis, new loan agreement preparation and modification processing. Fannie Mae was also among the handful of mortgage guarantors that introduced a new disaster relief modification product in recent years. Freddie Mac similarly remains on top of every emerging natural disaster, requiring servicers to keep a firm grasp on the ins and outs of the extensive range of disaster relief options. Freddie Mac’s waterfall of disaster relief and assistance offers more than half a dozen workout possibilities. Options available to affected borrowers include short-term forbearance, long-term forbearance, the Disaster Relief Modification, the Freddie Mac Flex Modification, the Standard Short Sale and the Standard Deed-in-Lieu of Foreclosure. Additionally, the Seller/Servicer Guide prescribes unique eligibility criteria, timelines and formulas for calculating modified loan terms, rates and modified indebtedness. FHA is particularly vigilant in managing its portfolio and exposure to loss, likewise assuming servicers will stay on top of fluctuating timelines, priorities and policies that apply to recovery areas. FHA servicers are required to guide homeowners through the disaster recovery process, while meeting all of the timeframes and guidelines set forth by FHA. Additionally, there are several loss mitigation options a servicer is expected to deploy to assist FHA homeowners in Presidentially-Declared Major Disaster Areas (PDMAs) with meeting property preservation and home retention expectations. Unique occupancy requirements, including arrearage, rate and term, and modified mortgage balance calculations, apply. Last but not least, FHA servicers must evaluate a homeowner’s eligibility according to a specific disaster relief waterfall that includes informal and formal forbearance plans, plus loan modifications. When it comes to disaster response, the VA is one of the more responsive federal agencies. Servicers of VA loans should be prepared to closely monitor the needs of distressed homeowners in disaster-stricken areas and provide timely and flexible relief. The VA’s attentiveness to disaster relief requirements creates a challenge for servicers who must navigate existing policies and timelines in the VA Servicer Handbook M26-4, while staying on top of ongoing programmatic changes, adhering to investor recommendations, and implementing operational processes. While nearly all government-backed mortgage guarantors provide a wide range of disaster relief programs, perhaps none are quite as unique and diverse in their offering as the SBA. Most mortgage lenders and servicers have been working hard to stay abreast of updated disaster relief requirements for Fannie Mae, Freddie Mac, and FHA, but not as many are aware of the extensive options available to SBA customers, including its Disaster Loan Program, standard loan options and additional individual and business assistance. Having a proactive plan for assimilating guidance from multiple agencies is equally important to understanding the pieces of the puzzle. Guaranteeing adherence to investor requirements, as well as ensuring a customer-centric experience, adds a layer of complexity that may exceed resource availability in time of disaster and the months to follow. 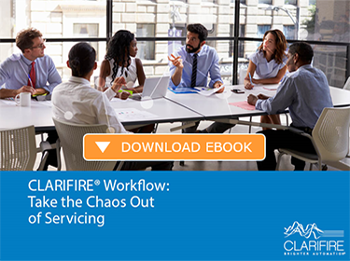 Servicing teams can meet this ongoing challenge with the CLARIFIRE® workflow platform, which fully automates workout rules for multiple activities, timelines and outcomes. Additionally, servicers can track the entire borrower experience with innovative customer contact management, CLARIFIRE CONTACT®, and/or CLARIFIRE COMMUNITY®, a secure gateway that dynamically coordinates industry third party, homeowner and investor activities. Stop puzzling over disaster recovery and find out how your organization can readily respond to ongoing and forthcoming natural disaster challenges by visiting eClarifire.com, or contact us directly at 866.222.3370. Is Your Team Disaster Relief Ready? Jane has applied her vast experience (over 25 years) operating process-driven businesses to successfully redefine client-focused service. Jane has worked with expert programmers to apply cutting-edge web-based technology to automate complex processes in industries such as Financial Services, Healthcare and enterprise workflow. Her vision confirms Clarifire's trajectory as a successful, scaling, Software-as-a-Service (SaaS) provider. A University of South Florida graduate, Jane has received many awards related to her entrepreneurial skills. Like this article? Feel free to share this with a friend or colleague!